Vegan beers: Which pub lagers, ales and ciders are vegan? In the pub, want to buy a pint, but unsure about which standard lagers, beers, ales and ciders are vegan? 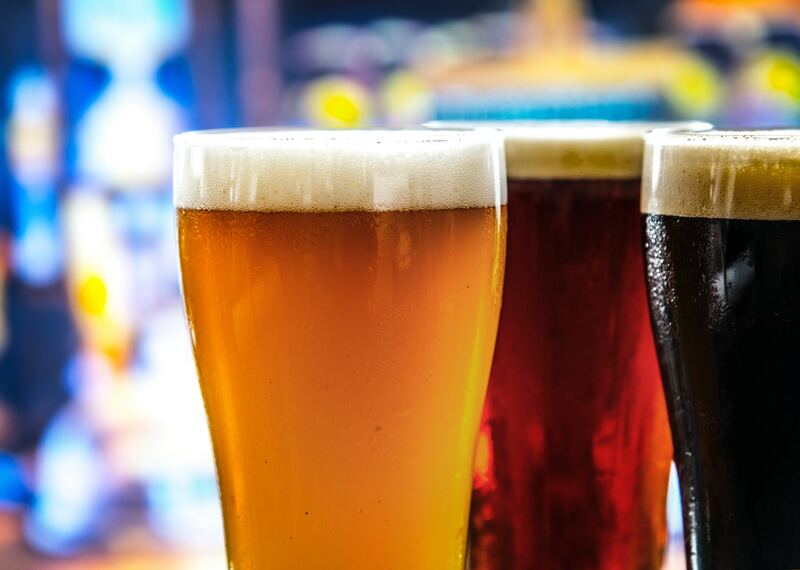 This handy list tells you which popular UK pub beers are vegan, and which contain animal products like fish-derived finings, gelatine or cochineal. Boddingtons (cask) – NOT VEGAN. Cans, bottles and keg however are VEGAN. You can find out whether other beers are vegan or not at the excellent Barnivore website. This list has been compiled from information on Barnivore – if you are in any doubt about its accuracy, please contact the brewery for confirmation. As a new vegan, I was really disappointed to find out my beloved Guinness isn’t vegan friendly, but was of course relieved to find out they have plans to remedy that in the coming months. Until then, my homemade stout will do just fine! Isn’t it amazing how many beers actually use animal products? Who outside of the world of brewers would have thought? Great post, very helpful! Are the lagers you state as vegan cask or bottled? Cask all used to be not vegan many years ago. I’ve been vegan nearly 30 yrs and my info is a bit outdated!! The vegan lagers are the bottles or draught (keg). Ales come in casks, they’re not vegan because they use isinglass (fish finings) to clear the beer. Next bar (Chilli Devils in Hull, a tiny little bar, which has Atom ales and other Vegan acceptable ales on draught on a fairly regular basis); same opening question; response: “Have you turned Vegan?”, “Yes, a few weeks ago.”, “We have bottles of Atom (Hull, Sutton Fields), Brew Dog (dubiously acceptable, because of their taxidermy thing (My comment)), and a few ciders.”. I had a cider. Chilli Devils, which does three chilli dishes every day, one of which is ‘vegetarian’ (and usually Vegan), also hosts a Vegan evening every Wednesday. I mentioned Brass Castle to the proprietor, who expressed an interest into getting it in. More power to them. Every small step really does count. Ye Old Black Boy also stocks Vegan acceptable ale, cider, and lager, as does the Sailmaker’s Arms, and in between the two is Hitchcock’s vegatarian restaurant (although that is a pre-book). Just to clarify, although my diet and general consumption is probably aceptable to most Vegans, I probably cannot be considered to be a ‘true’ Vegan. My (active) decision is fundamentally ecological: I seek to minimalise any detrimental impact upon the biosphere that my lifestyle may have, because that will have a future impact not only on me, but also upon future generations. Apart from the overwhelming evidence supporting the facts that a plant based diet is both healthy and environmentally sustainable, and that an animal based one is neither, the breeding and culling of animals purely for their outer coverings is bloody cruel, as is the breeding and culling of animals for the purpose of exploiting them either as pets or for leisure activities or for ‘scientific’ experimentation of dubious value. But I don’t believe that any of this makes me inherently ‘Vegan’. After all, I do smoke tobacco irregularly, and I do drink alcohol, although interestingly (perhaps), since I stopped being an ‘eater of the dead’, I have found that my desire for both caffeine and alcohol have diminished considerably. Apparently all Bateman’s bottled ales are vegan-friendly (and they taste pretty good). So too, I believe, is Fuller’s London Pride (bottled). Mumbles brewery in Swansea South Wales are vegan friendly apart from the Oystermouth stout which has oysters in it.